High end games have increased peoples expectations of any experience that they take part in that uses game technology. Unity3d lets any of us build a multitude of applications and environments but also exposes us to the breadth of skills needed to make interesting engaging environments. 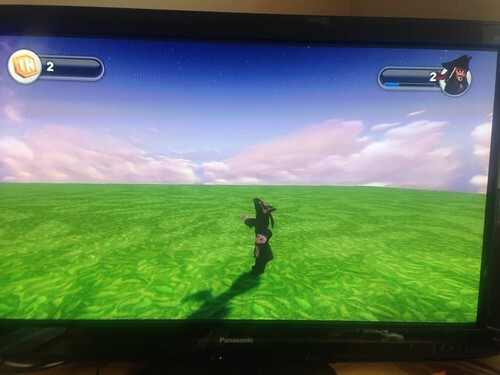 People, avatars and non player characters are one of the hardest things to get right. The complexity of building and texturing a mesh model of a person is beyond most people. Once built the mesh then has to have convincing bone articulation to allow it to move. That then leads to needing animations and program control of those joints. If it is complicated enough with a body then it gets even more tricky with the face. If a character is supposed to talk in an environment up close then the animations and structure required are even more complex. Not only that but if you are using audio, the acting or reading has to be convincing and fit the character. So a single avatar needs design, engineering, voice over and production skills all applied to it. Even for people willing to have a go at most of the trades and skills that is a tall order. They have a unity plugin that can capture realtime face animation using video or a web cam. So now all techies have to do is figure out the acting skills and voice work in order to make these characters come alive. I say all 🙂 it is still a mammoth task but some more tools in the toolbox can’t hurt. Even more high end though is this concept video using realtime high quality rendered characters and live performance motion capture in the Star Wars universe. Last week Grand Theft Auto V was released. That of course is something everyone probably spotted. In amongst all the hype, the outrage and the $1 billion dollars in takings there are some interesting nuggets that may have been missed. GTA V is a giant virtual world simulator. Whilst GTA V Online is not yet live it is a single player experience, it does have a very large and detailed environment. The attention to detail is almost so good as to not be impressive as you tend not to notice it. The environment is very big from a sprawling city, to a desert and a mountain range and lakes that you can explore on foot or on a variety of vehicles on land sea and water ( or even in a cable car or a blimp) act as a backdrop to a set of mission and story arcs. The place is bustling with activity, people and cars everywhere. It is a pity that it could not just have a mode or version of this world that removed a the swearing and the violence just a little. The reason I say this is that just exploring, being in the place would make a great experience in its own right. Heading off to the lake to watch the sunset, flying and landing planes on the runway. The games or darts, golf and tennis that are just sitting in there as a side task all make it a fine example of game technology and design in action. As it is it obviously deserves its 18 rating which in context all makes sense. You can’t though drive down the road or listen to the radio or even play the iFruit Iphone companion app without a torrent of abusive language. 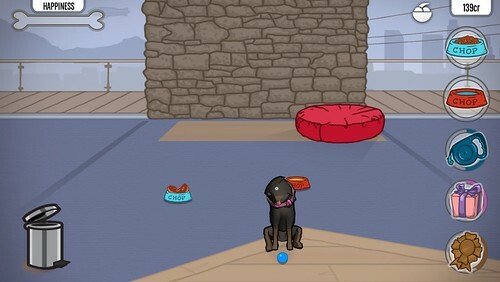 Chop on Ifruit the companion app. Me as a gamer and an adult I find this all more than acceptable, however as a parent I would be worried because I know many people will end up letting much younger kids play this without fully appreciating whats going on. Tone and intent is everything in a narrative and the cartoon violence of stealing cars and having shootouts is pretty normal and I would say acceptable. However there are part of GTA V that enter other territory. A scene with the psychotic Trevor extracting information which has to be played through made me wince. I am not sure what is coming next as that is only 1/4 way through. There is something that felt different though. In GTA V you swap between 3 characters. This stops them seeming like they are your character and turns them more into toys or puppets that you are playing with. The 3rd person view helps re-enforce that as you can clearly see which character you are. Character swaps happen in other games such as Call of Duty but in 1st person if becomes less obvious you are not you. So playing GTA V, customising the characters with hair, clothes and tattoos becomes more of a dress up doll experience than a “hey look at me” experience. I am not sure if this makes it easier to cope with the excesses of some of the characters in that you are almost in god mode rather than sinking into the character. That may just be me but it is definitely a different feel. It is more like looking into an aquarium than being in a swimming pool. That said is is a very absorbing experience, exploring or following the story. It has always been fun to just drive around in a car listening to the really good soundtracks playing via the various radio stations. The news reports that interrupt the music also match nicely with the activities you have been up to. Again so we done you almost don’t notice. The in game web experience is also very neat. Facebook and twitter are copied and mocked but if you bother reading the details you will see, just as with the radio news there is a consistency with the in game social media interactions. There is also a working stock market, investing in the right things before a mission that alters the share price is a clever way to get cash. GTA V has also reached out to the actual web, lifehacker (the Facebook clone) exists for real. Before the game was released could stalk (i.e. like) various business pages such as the barber shops. That then linked in game to a discount or a freebie. I already mentioned the iFruit app but it too affects the game. If you train up the tamagotchi style dog Chop his action will alter in the game. If you buy custom car parts they will appear. This feature obviously had some trouble at launch, it was not scaled to cope with the day 1 blitz but it seems to be fine now. I entitled this virtual world jet lag because I have certainly experienced a form of jet lag, or tiredness as you might like to call it. Late nights playing and exploring Los Santos have been needed in order to understand the game and it’s development. However it does feel like I have visited somewhere, in the same way exploring Second Life and alike does. The experience and memories are rich enough to make it feel like a journey has happened. It is large free roaming worlds that have this impact more so than the frenetic close in shooters. They leave you dazed and adrenalin pumped, you remember the small experiences, taking a flag or an unusual frag. GTA V and alike provide so many memorable inputs and ones that are linked to discovery and learning that they are really a place. It is something everyone should try and experience to feel the difference between this and other styles of game. I hope this Los Santos model world can be used for some other experiences too though for those who are not gamers but who might change their minds about the art of game creation and the technical expertise of its creators. Modelling in 3d from scratch is hard. It is digital sculpture. Whilst the tools help it is really for the hands of an artists as much as a hammer, chisel and block of marble is to create something from nothing. There are qll sorts of wizards and helper programs plus lots of existing artwork in the public domain that let us less artistic more techie people get some things done. I don’t think you can ever replace the talent and eye of an artist but some technology is going to help as a starting point for 3d objects. I have been looking at Kinect Fusion which uses the kinect to scan and then produce a 3d model of the things it is looking at. This looks like a very promising way to get existing objects into a good format for dropping into virtual worlds and Unity3d. You will notice from this sample picture from Microsoft that the mesh created can be an OBJ as in normal 3d packages or an STL the format for 3d printers so this is nearly a 3D photocopier. I say I have been looking at it, though I have not been able to use it fully yet. The sample is a Windows only application. Whilst the kinect works fine as a “normal” kinect on the Mac the scanning application isn’t supported (for obvious reasons). I run windows on a bootcamp on the 5 year old Macbook pro. Unfortunately that does not have a full DX11 graphics card. Without all the bells and whistles of DX11 the application doesn’t work. So I may have to get a full windows machine as long as I can be sure its full DX11 compliant. There is another interesting development in the works that @asanyfuleno pinged me way before I saw it explode across my twitter feed. It is the ability to create a 3d object from three simple swipes across a 2d picture. It sounds crazy but it does seem to work in this video. Which is also honest enough to show cases where this does not work. 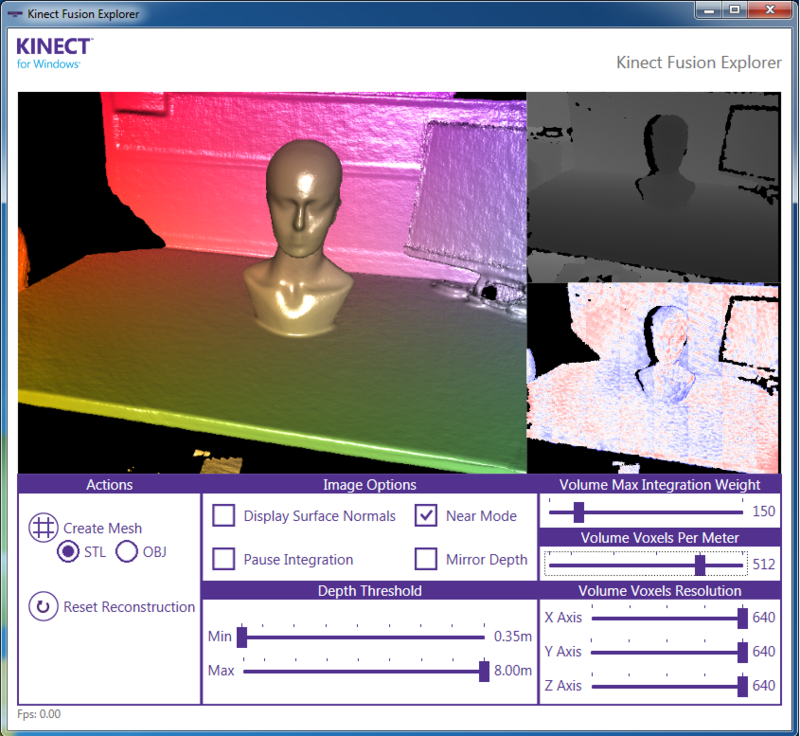 Things at SIGRAPH and other high end tech conferences can sometimes seem out of the reach of most of us however (just to bring this full circle) This paper from 2002 just 11 years ago shows a 3d scanning application which performs the same task as the Kinect Fusion application I started this post with. It was also good too see recently from SIGRAPH the wonderful MCOR paper printer now doing full colour. We had some samples from MCOR on Cool Stuff Collective and I wrote them a little article. Now though they are doing even more clever things with paper and colour. It is great seeing the advances in tech and art and even more exciting as they mature into accessible tools and toys for anyone to use. 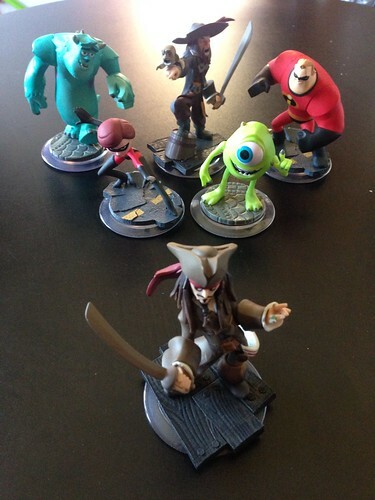 Disney Infinity arrived on the scene recently. It is Disney’s response to the clever development of Skylanders. Where physical toys are used to select what happens on screen. If you thought Skylanders may have had a slightly cynical collect ’em all, spend ’em up side to it then Disney have ramped that up to a new level. 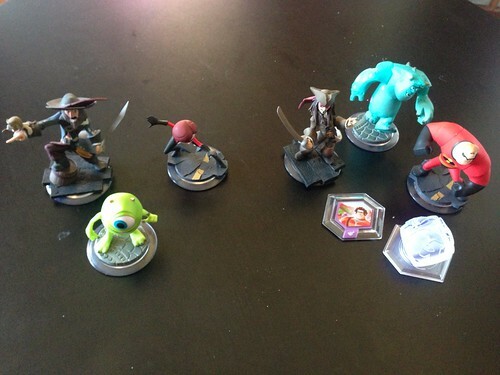 Skylanders you typically get a set of characters that you can experience the main game with, without buying new characters. Getting a new character for £8 or so gets you some new powers, effectively new lives for a game session and possibly access to a bonus level. Disney have chosen a more complicated (and expensive route it seems). The starter set gets you 3 characters. Each effectively from a different set of game levels. So you get Cap’n Jack Sparrow, Mr Incredible and Sully from Pirates of the Caribbean, The Incredibles and Monsters University/Inc. You get a “level” select piece (they call them play set pieces) that when placed on the USB powered platform selects the available levels. This happens to be multiple one for the 3 games but others are individual tokens. There is also another token type that unlocks a little bit of content. These are the sort of pocket money prices elements, like buying a lego minifig. Ours unlocked a background from Wreck It Ralph. It is the collection on the right of the picture. A “starter” set. So we plugged it is sparked it up and I wanted to play with the predlets. After all the games are multiplayer and there is space for two characters. The problem is that as you enter the Pirates of the Caribbean world you are only allowed to take a pirates character with you. So the base starter set does not let you play the actual game levels as multiplayer. So you have bought 3 single player games. What you need to do is shell out another £25 on top of the £50 already spent to by the “sidekicks” a character from each series. (On the left in the photo above). Other playsets feature 2 characters from the same experience, Cars, Lone Ranger etc. So then you are buying a multiplayer game. You can buy individual characters for each game type, and there are sets to collect, and buy extra characters for the same games. You are enticed to do this in game as it points out you don’t have a character by showing a video. Not allowing Sully to wander around The Pirates levels or have Cap’n Jack in the big city with the incredibles sounds like an attempt at not having some sort of brand pollution. Or some odd technical reason. However that makes no sense when you get to the more interesting part of Infinity which is the toybox. This is a freeform multiplayer environment where any character and anything from anywhere can be added and created. It is a metaverse, a shared world with all the user creation tools we expect in virtual worlds. It is a great leap forward too bringing a degree of quality to the experience of building we don’t often see. I had a flashback to my first Second Life island when it was just flat land and the possibilities were endless about what could be done there and how it would evolve (and change the path of my life as it turned out). Big stuff! Cap’n Jack just stood in a field. 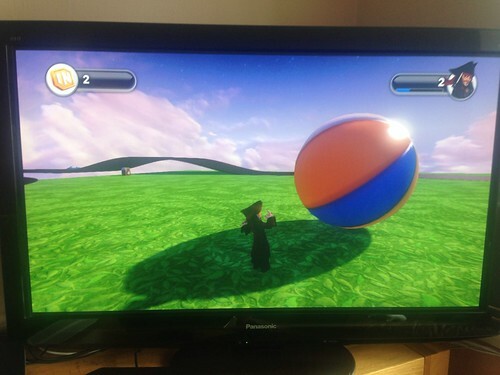 Then a quick menu selection and a little bit of racetrack (in the background) and a physical active beach ball with live shadows and all the trimmings was in world with me. Then we found that any character could join so Sully was soon in world and before you knew it we had some funny little games going. Predlet 1.0 made an obstacle course, 2.0 made a floating race track. We found ourselves setting little challenges with the basic things we had. The trouble with this is that there are thousands of pieces to play with, but…. they are all locked away. As you “play” or explore you complete challenges and achievements. Those unlock stars, as does levelling up or playing the main stories. Those stars let you get a random spin in a selection of the devices and objects available. It is painfully slow grind to unlock things. Not being able to pick and it being a random selection gets very annoying. We wanted more vehicles, we got a buggy eventually but lots of things we didn’t want first. For a creation tool it is missing the ability to just get on with it. For experienced virtual world builder like the predlets, used to Minecraft creative mode it is a ridiculous application of grind. Worthy of Nintendo’s grind tests. I hope they patch this and let us just select anything from the palette. Mind you they will probably make us buy some more physical product. That after all is what the extra collectible power disc (the one that unlocked a wreck it Ralph backdrop) does. However these are sold in closed packaging so you don’t know what you are getting to end up with “rare” items and swaps for the playground. Something I have never really liked in kids toys. So Disney have made something really clever, interesting and wonderful and then locked it behind a big paywall or a giant in game fruit machine. All things that can be rectified to make this brilliant! I should say too that The figures look like they are good quality but Jack Sparrow must have had too much Rum as he broke off his stand. Not sure how much force cause that to happen but characters on stands with just two small bits of plastic feet might make these not as playable with for kids as Skylanders.